It turns out that not every week is craft beer week. Who knew? But this week, it actually is. 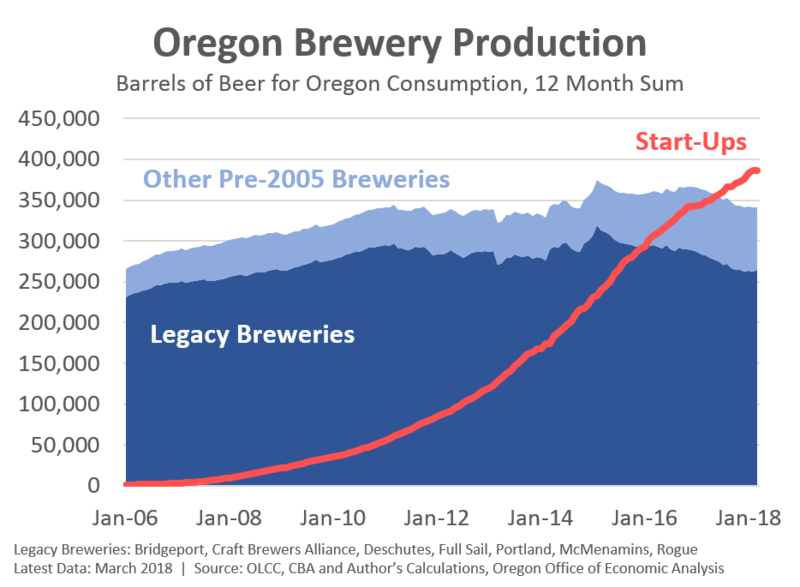 So in honor of our value-added manufacturing, declining start-up trend bucking, homegrown Oregon breweries out there, I thought I should update our numbers of Oregon beer production. These figures come from the OLCC beer reports which only cover beer made in Oregon and sold in Oregon. So beer imported into the state from other breweries, and beer made here but exported to other states or countries are not included in these numbers. It also includes all Oregon breweries, regardless of ownership or brewing techniques. The goal here is not to get bogged down into defining what craft beer is. Rather it’s to look at Oregon beer production.